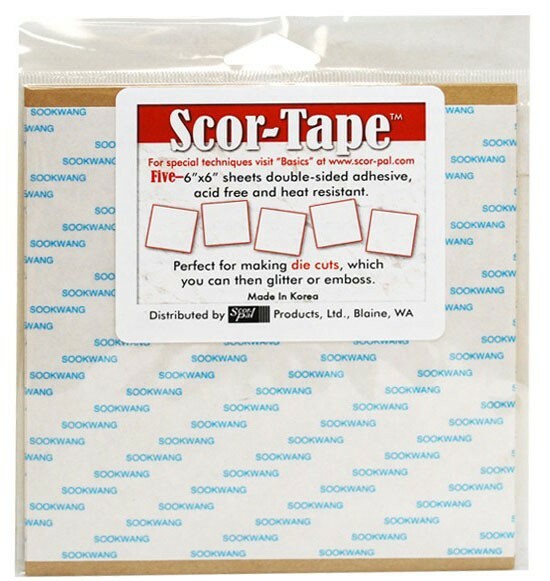 Double sided adhesive in 6" x 6" sheets. 5 sheets per pack. Perfect for making die cuts, which you can then glitter or emboss.